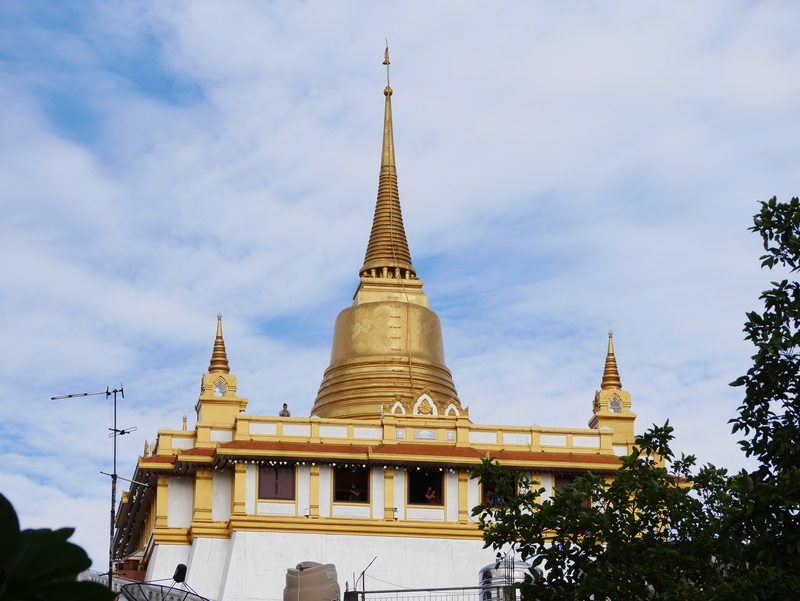 Visit Wat Saket, a hilltop Buddhist temple complex that has undergone several regal renovations over the years. 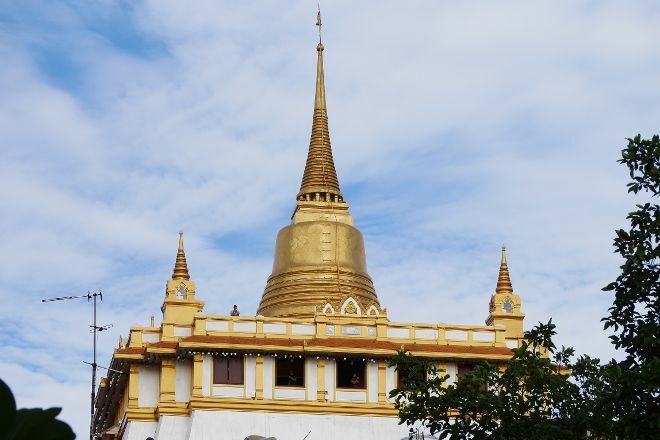 In the 19th century, King Rama III tried to build an enormous chedi atop an artificial hill, only to find the soil was too soft to support its weight. 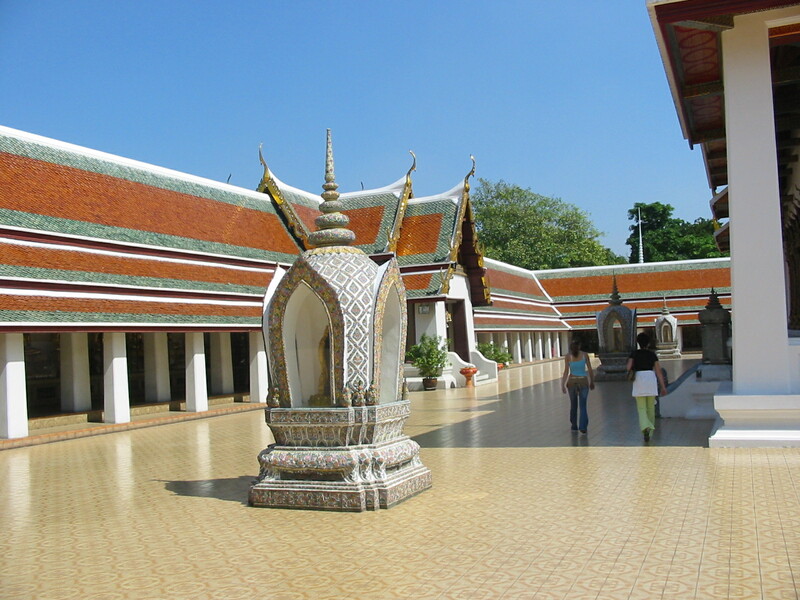 His son had better luck with a more modest design, but it was King Rama V who completed the main complex standing today. The gold chedi juts out to cut an impressive silhouette atop the hill. Reaching the site involves climbing up 300 steps, so you may want to avoid the hottest time of day if possible. The views from the top--and the photos you'll take home with you--make the expenditure of energy more than worth it. 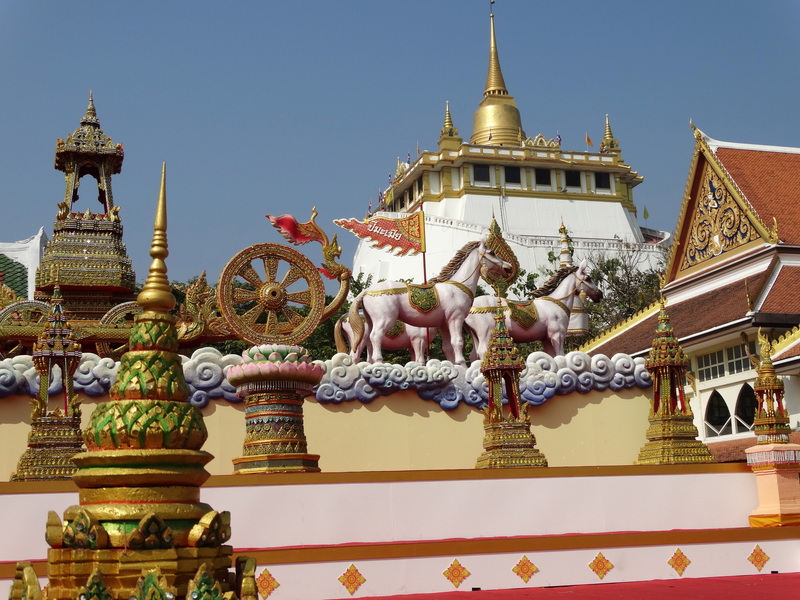 Choose to start, finish, or center your holiday on a trip to Wat Saket by using our Bangkok day trip planning site . Be sure to visit this temple in the morning, when it is not yet so crowded and hot. The path up to the top is a bit tedious, but the view is worth it! Of all the sights, there was the least going on here. You could let everything affect you in peace and not be simply pushed through. You have a stunning view of old and new Bangkok. We'll be back! The ascent of the stairs in the heat of Thailand is exhausting, but the details that surround the stairs and the views are worth seeing. For me, clearly one of Bangkok's top sights.